Directed by Richard Brooks. 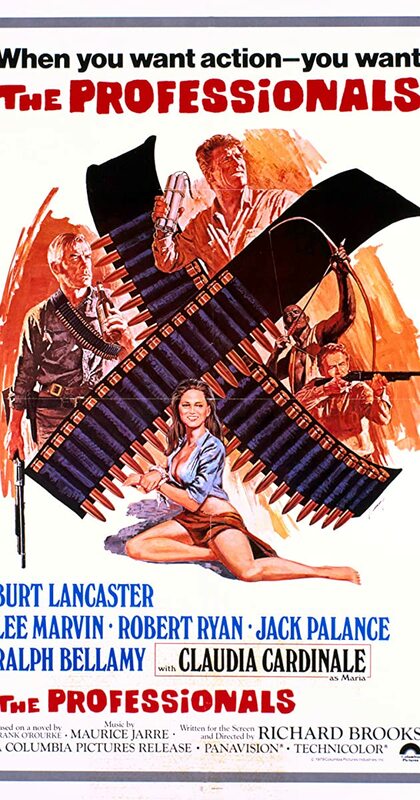 With Burt Lancaster, Lee Marvin, Robert Ryan, Woody Strode. An arrogant Texas millionaire hires four adventurers to rescue his kidnapped wife from a notorious Mexican bandit.